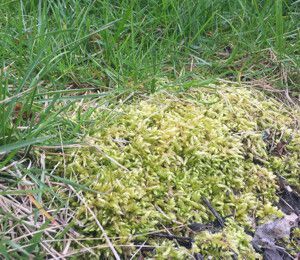 Moss in our lawns has returned for many of us this spring. However, for many more, moss has encroached on lawns for the first time in a long while. Because of the mild winter and the frequent wet days, moss was able to get a foothold in our lawns through the winter. It truly has seemed like one of the worst years for moss. What can be done? The good news is that moss is easy to kill with spray on or granular products. We have solutions from Scotts and from Lilly Miller. After about a week, the moss will turn black and be much easier to scrap loose from the soil. Once removed, you can then move forward with planting grass seed. How can moss be prevented from coming back next year? Moss tends to thrive in shaded areas as well as soils that are acidic. If possible, we would recommend thinning out nearby trees or removing scrappy plants that aren’t providing much good, and causing too much shade. You can also apply a heavy dose of fast-acting lime to the problem areas which will quickly sweeten soils… making them more attractive for lawns and less so for moss.